Ask fellow campers about "Scenic View RV Park" and nearby attractions. Easy access, just watch for entrance sign (GPS wanted us to go further). Lots of room for our towed 30' trailer & site was plenty long enough for our 45' motorhome & car. Owner/manager was attentive & helpful. We left 1 day early & he gave us a refund for the night! Nice level pull-through site with wonderful view of the valley. Lots of room for awning & privacy fence between sites. Power, water & wifi were very good (there are no toilets or showers on site) - they even have recycling which is unusual for most campgrounds. Quiet location with easy access to the city & lake. Will definitely stay here again when in the area. 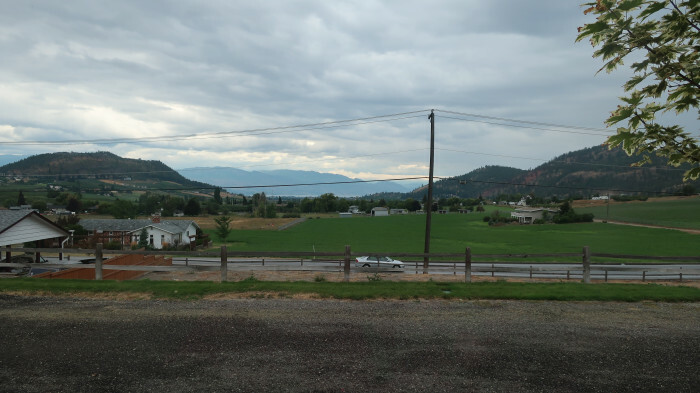 We camped at Scenic View RV Park in a Motorhome. 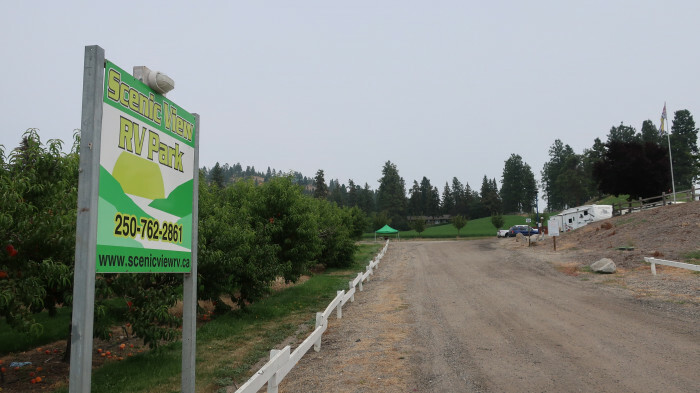 This lovely park is located in the peaceful countryside less than 10 minutes from downtown Kelowna. It overlooks the valley and on a clear day you can see the lake. 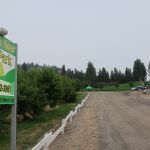 It's surrounded by fruit orchards (the owners have a pick your own peach orchard) and there are many fruit and vegetable stands close by. The entrance and access roads are wide and easy to navigate. The sites are long, wide and level. 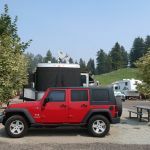 We were able to park our Jeep Wrangler in front or beside our 40' RV. Power, water pressure, and free WIFI were excellent. Verizon Phone service (roaming in Canada) was good. Direct TV reception was good and there are no large shade trees to interfere with the signal. Washer and dryer on premises take Loonies and Canadian quarters. You can get change form the owners who live on site and are very nice and very conscientious. 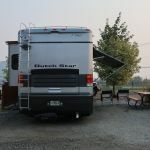 This is a clean, quiet campground and we gave it a ten based on the size of the sites, ease of parking the RV, the view, and the owners' attention to detail. That rating is based on it's comparison to other RV parks in the area and not to RV parks in the US, the latter of which often have alot of extra amenities like swimming pools, etc. We would definitely stay here again. We camped at Scenic View RV Park in a Motorhome. Excellent Farmers' Markets in Kelowna on Wednesdays and Saturdays. Walking/biking paved path into town located on Glenmore Road about 1/2 mile away. Cactus Cafe' has excellent food. 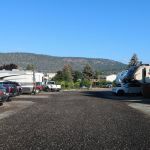 Very clean and well maintained RV park set on orchard hillside overlooking valley. All services and WiFi excellent. Owner very friendly and caring. 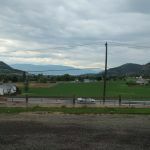 Close proximity to downtown Kelowna. Would definitely recommend. 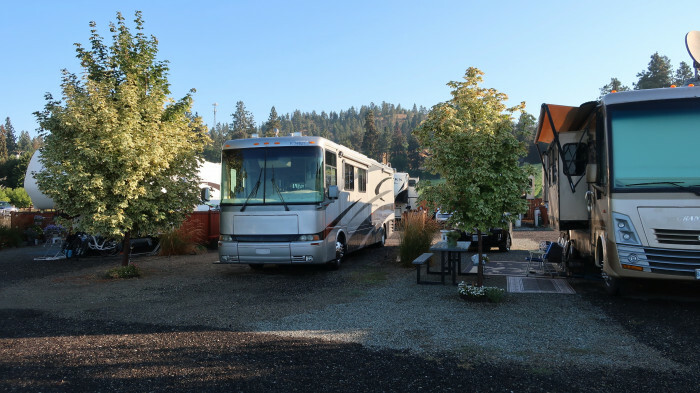 We camped at Scenic View RV Park in a Motorhome. Only ten level gravel sites set on an elevated hillside with pleasant valley views, set among fruit orchards. FHU, good strong free wifi, laundry available, only minutes to town. Friendly helpful owner. 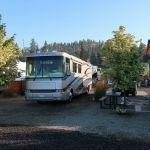 We camped at Scenic View RV Park in a Motorhome. Stayed here 2 or 3 times in the last 14 months of work traveling. Super friendly hosts. Nice View, especially if you have a pull thru site. Power, water, sewer, everything easily accessible. Small privacy fence between sites. Super strong and fast wifi. One of our favorite spots. We camped at Scenic View RV Park in a Motorhome. Nice little camp for short stays about 5 km to downtown Kelowna. Friendly owners and clean grounds. Most sites are pull thru and you need to have a self-contained unit as their are no washrooms or showers. Laundry on site. Each site is divided, level with gravel. Stayed 4 nights. Great place to stay and take in the various sightseeing options in Kelowna. 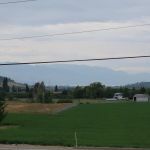 We camped at Scenic View RV Park in a Motorhome. Gravel pads, access slightly tight, no restrooms, but overall a fine place to stay. Nice views, good water, laundry available. Very accommodating owners. We would definitely return. We camped at Scenic View RV Park in a Fifth Wheel. Great views over the mountains and lake. Nice little camp and very quiet. Just what we where looking for. Sites are very long and 25 ft wide, we think spacious considering other camps in Canada or in the area. No accommodations, just one dryer and washer; no problem for us. Good cable, Wi-Fi so-so, but overall good. We came for a week, stayed a month. Ask for special price. 4 km to WalMart and other shops, nice biking, and great beaches. We will come back. We camped at Scenic View RV Park in a Fifth Wheel. Sites are a little tight. Sites are gravel. Friendly, accommodating owner. Weekly rate is $170.00, which gives $24.29 per night. Laundry worked but only one washer and one dryer. Wi-Fi quite slow and dropped us fairly regularly. Lovely view from front of park. Good access to town. We camped at Scenic View RV Park in a Fifth Wheel. One of several small orchard farm RV parks in the area. Very friendly and accommodating owner. Laundry and pop machines, but you'll need to be self-contained for shower and toilet. Wide open on hillside - spectacular view down the valley. Good spot for a few days of visiting and sight-seeing. 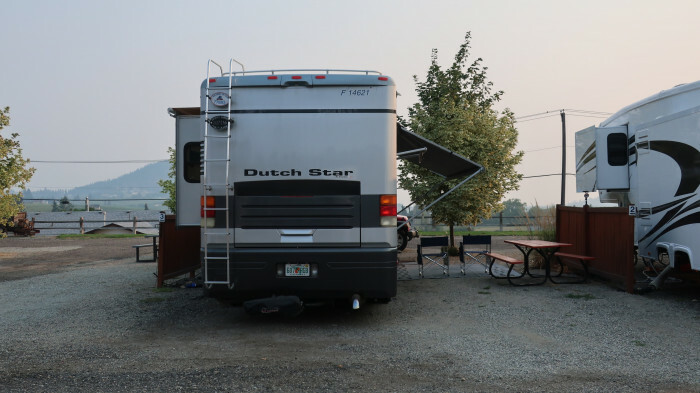 We camped at Scenic View RV Park in a Fifth Wheel. 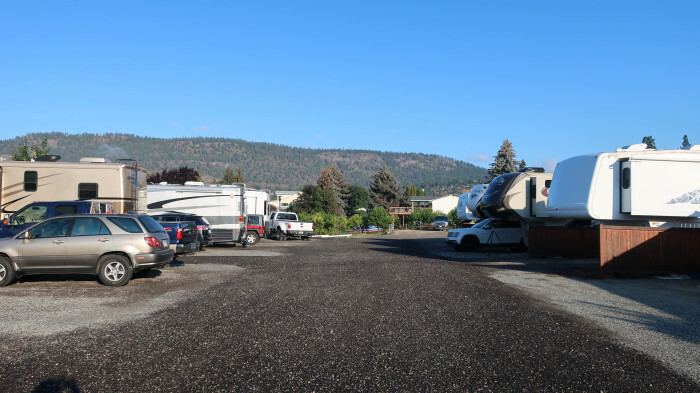 Are you affiliated with Scenic View RV Park ?